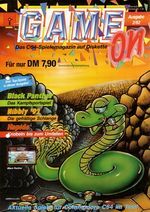 "Game On" was a German disk magazine for game freaks on a 5,25"-disk for the Commodore 64, which was published by the CP Verlag (Computer Publications GmbH). 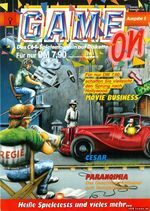 The first edition of the "Game On" was released in mid-October of 1988 and formed from the "Magic Disk 64", which was published by the same publishing company. The magazine disk was available at newspaper stands, sealed inside a "Game On" envelope. The manuals for the games could be read on the screen, but it was also possible to print them. 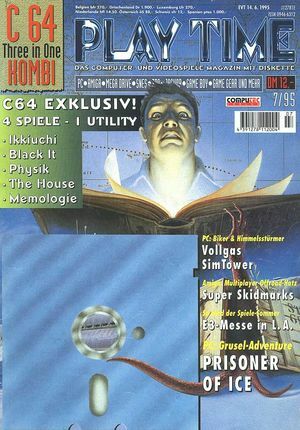 Furthermore there were amongst others the columns "Hallo" (editorial), Top Ten, Games Guide, Intern, Crackernews and Vorschau (preview). A little bit later the columns Forum with letter to the editor, Low Budget, Help! (games help) or the "Game On" club were added. Next to the games, which were explained in the menu system accompanied by music, also letters to the editor, news from the games scene and game tests could be read over the menu system. The issues 09 and 10/1989 contained copy protection, which posed some problems. Through this method and others the disk must not be validated! 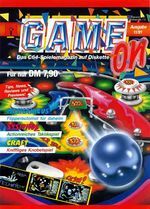 With issue 12/1993 "Game On" was combined with the disk magazine "Magic Disk 64" and sold in bundle with the computer games magazine "Play Time", i.e. there were two disk magazines and one computer games magazine for different systems for one price. 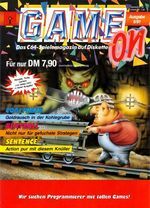 The disk magazine "Game On" was terminated with issue 07/1995. 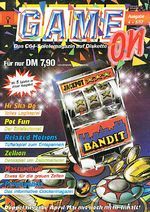 The issues 09/89, 01/90 until 01/91, 11/91 have the Timex-copy protection, which cannot be reproduced on D64 images. Only the menu of the magazine is protected. The games and demos are not protected. 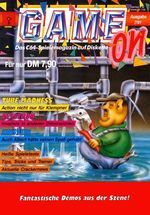 Issue 11/1994 in "C64 Three in One Kombi"
Last issue 07/1995 of the "C64 Three in One Kombi"
'*Discrepancies between the numbers of the issues of the Play Time or the "C64 Three in One Kombi" respectively and the issue number of the Magic Disk 64 and the Game On by different summer breaks of the editorial staff can occur!! This page was last modified on 25 February 2015, at 05:44.